The first thing Beezy and I did was celebrate his birthday! 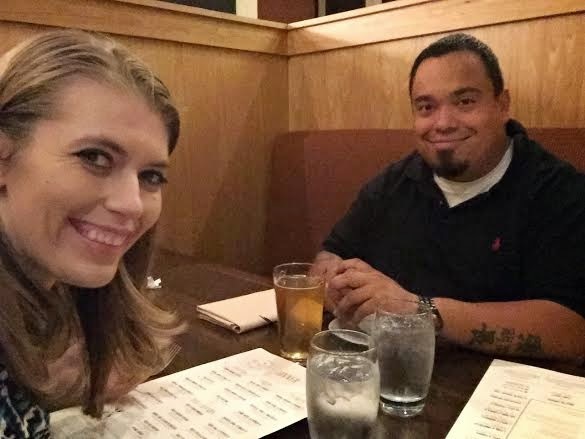 Since his birthday fell in the middle of the week, we decided to go out to dinner. Beezy really wanted to go to a place downtown called Ten 22. Since his birthday actually falls on 10/22 it was cute. It was Ten 22's 5th year anniversary so they were offering some great specials. Beezy picked out a calzone that was stuffed to the brim. 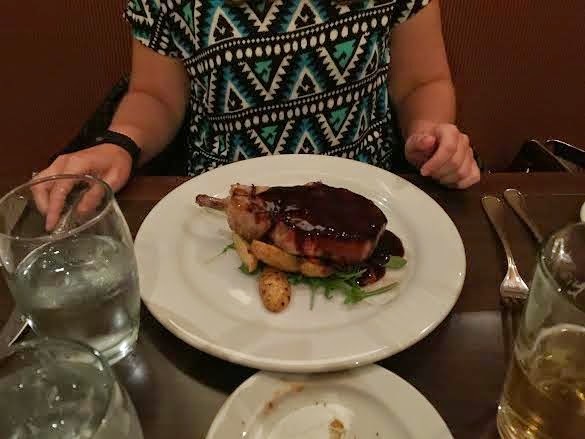 When he ordered it, we had no idea what was inside. 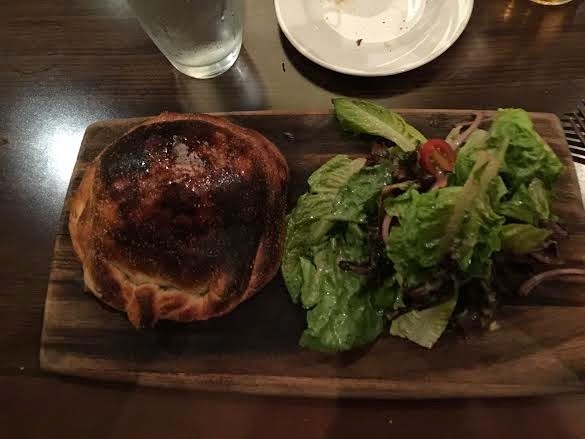 It was being sold as the mystery filled calzone. He's a braver man that me! 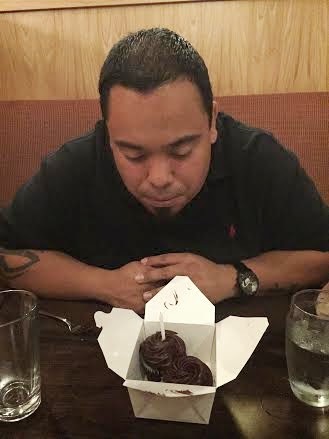 At the end of the meal they brought out some chocolate cupcakes with a candle in them to celebrate his birthday. When we got home we celebrated with Birthday cake (which I made). I would share pictures of Beezy opening up his gifts but he did it the night before his actual birthday. He couldn't wait to get his hands on the presents and I'm glad to report he enjoyed them all. He got a training mask for running, a subscription to loot crate (a monthly subscription box for guys), a Raiders Christmas sweater and some other fun stuff! This year was a success. Now I've got to start planning next years. Ten 22 on 10/22, haha classic! That food looks yummy. What was in the mystery calzone? Will you let me know how he likes the Loot Crate subscription? I'm thinking of getting it for Iz for his birthday! The cat looks like he's about to make a break for it.